And so we conclude this story arc. Regular, ol' Nerd Rage will resume next week. 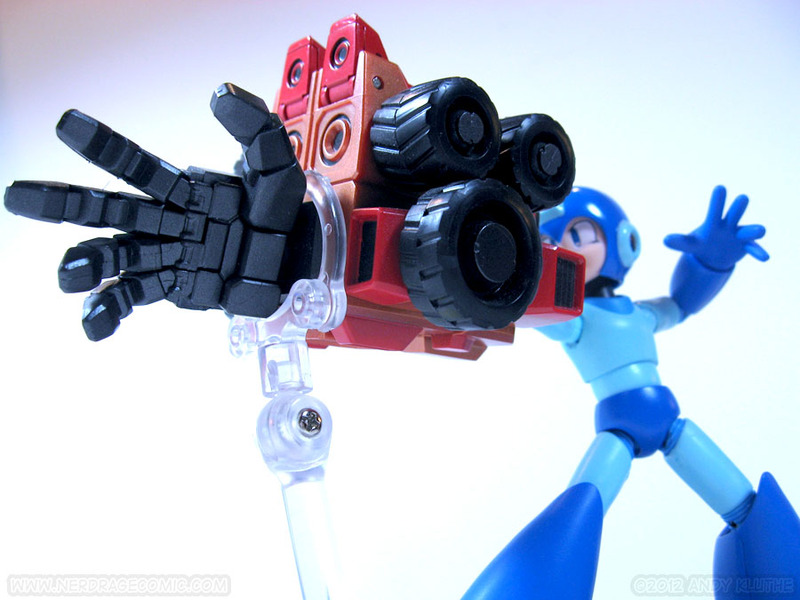 Until then, check below for a review of Bandai's D-Arts Mega Man! 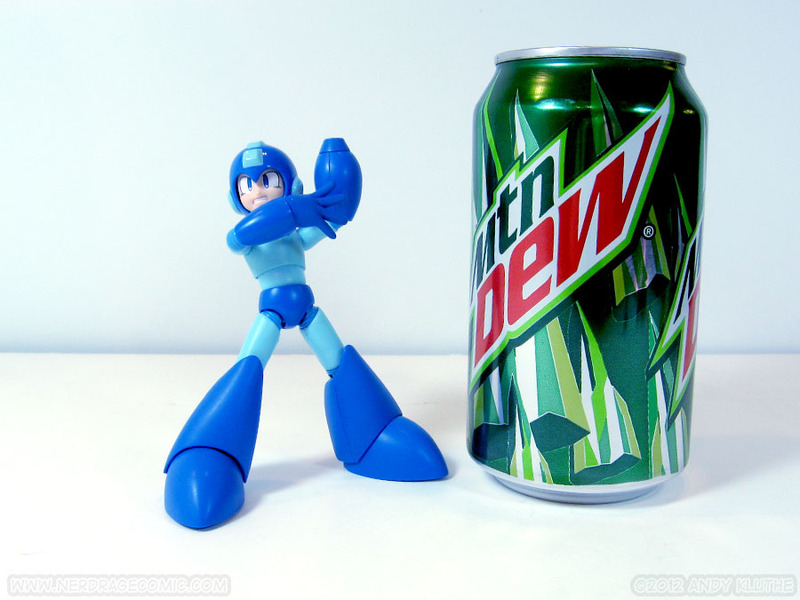 It’s been a while since I did a review, but as soon as I saw Mega Man I knew he would get reviewed in this spot. Released in December in Japan, the official western release is just hitting shelves, courtesy of Bluefin. 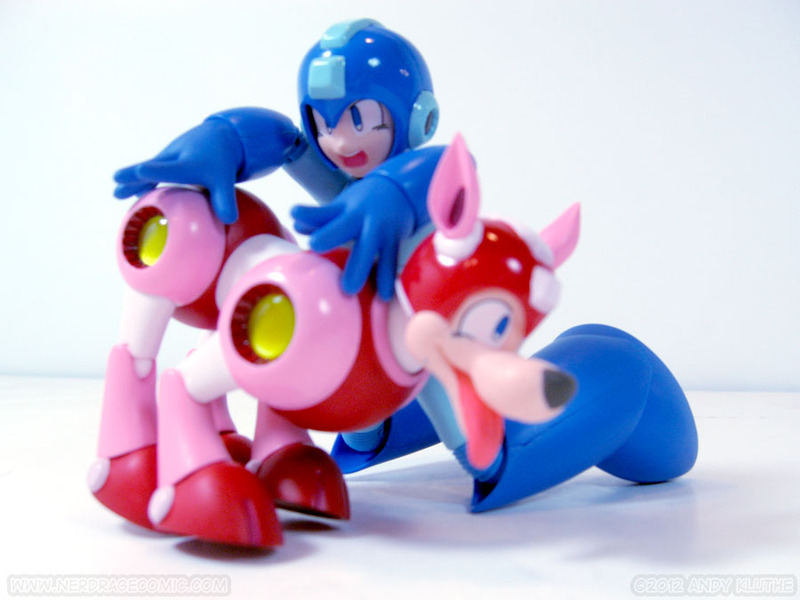 So, to begin, it’s Mega Man -- classic Mega Man. 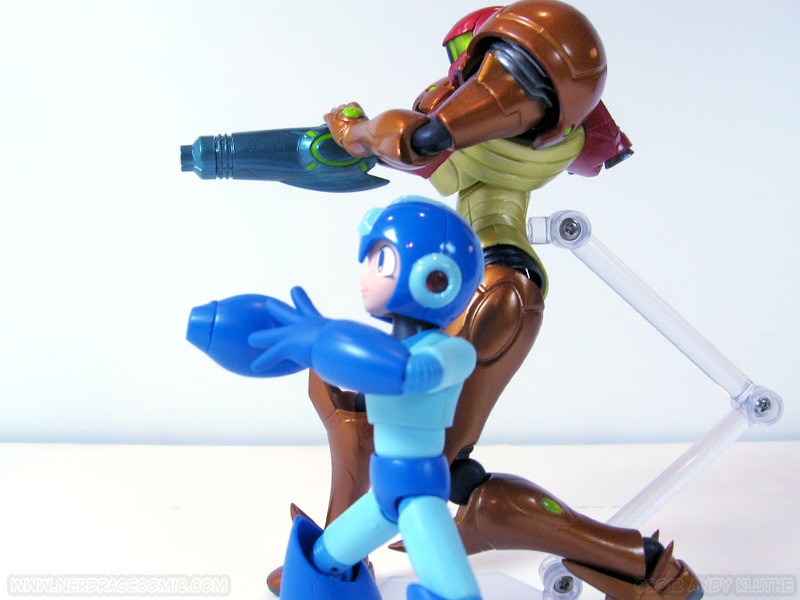 If you can’t tell the difference between classic Mega Man and X (yes, they’re separate characters), the exit is that way. D-Arts has already covered a lot of characters from the X universe -- X, two versions of Zero, and Vile. I don’t have X, so I can’t do a comparison between the two. I do have Zero, so he’ll have to do. If you really care about boxes, here you go. I only want toys I can pull out, display, photograph, and fiddle with on my desk. 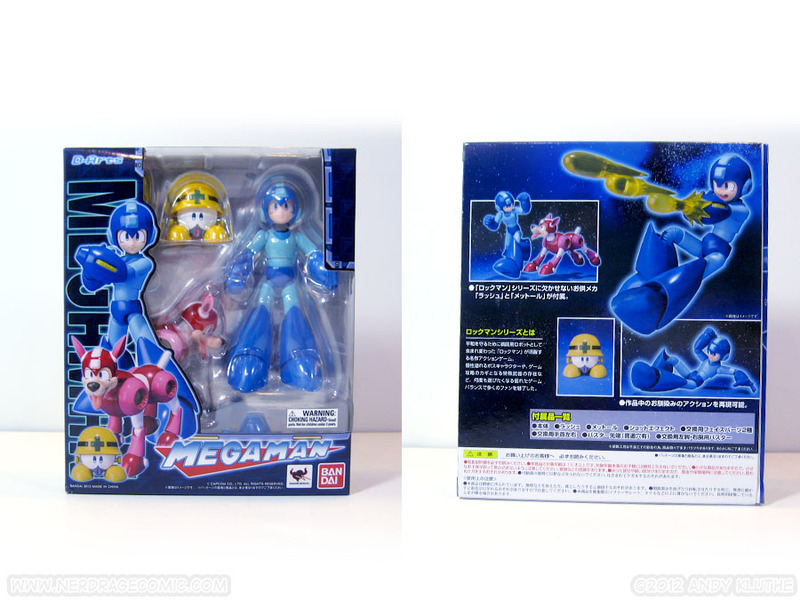 That being said, Mega Man goes the extra step of localizing the logo to say “MEGA MAN” (both the logo on the bottom and the outline behind the figures). 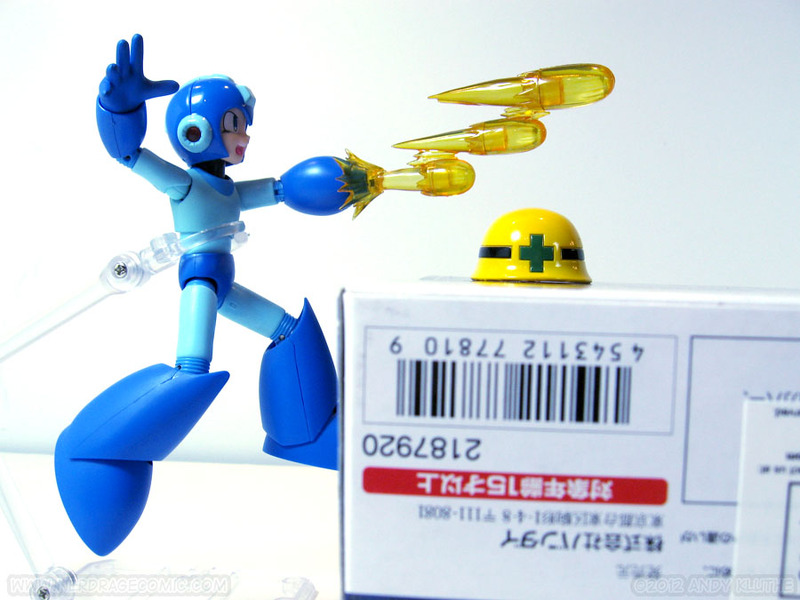 The Japanese box uses the traditional “Rockman”. Curiously, this is all they changed. The supplemental text, back, manual, and all that are still in Japanese. The Bluefin logo and choking hazard on the bottom is a decal. 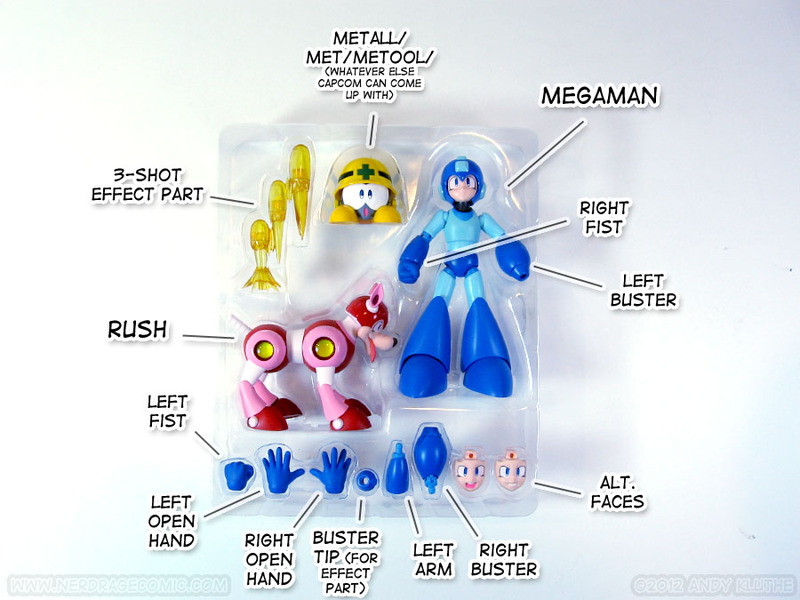 You can see everything Mega Man comes with above. There is an obvious seamline down both sides of his helmet. This is because the helmet actually pops apart to accommodate the face changing. 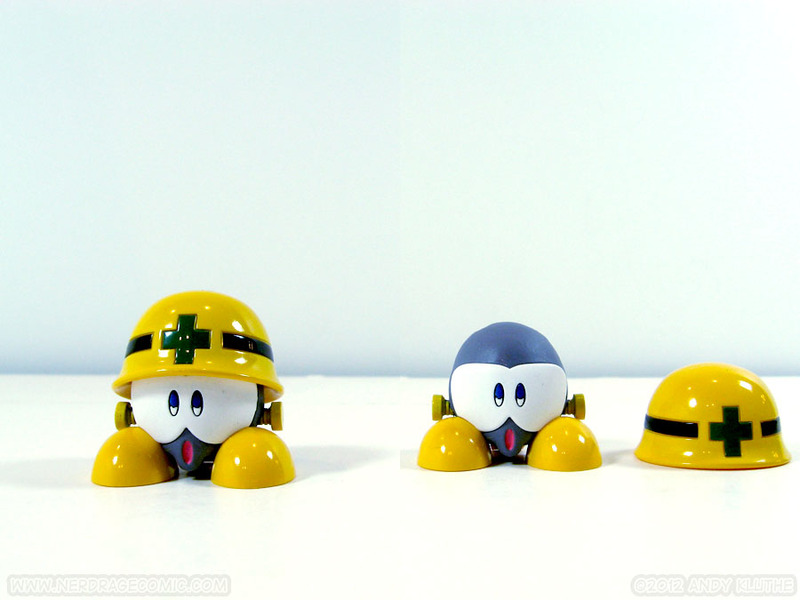 Since Mega Man is on the short side, he comes packed with Rush and the Metall hard hat enemy. The effect part requires you to pull off the tip of the buster and replace it with an open-ended tip. This tiny piece can be a little hard to swap. I would also observe caution while swapping arm parts. While the hands pop easily on and off the wrist-ball, swapping the busters in and out means removing the elbow joint from the upper arm. Make sure you’re gripping the upper arm so you don’t put too much stress on the shoulder. In other words: don’t ham-hand him. I normally type this up, but I’m going to try labeling an image seen above. This will be much easier to read with a visual guide. 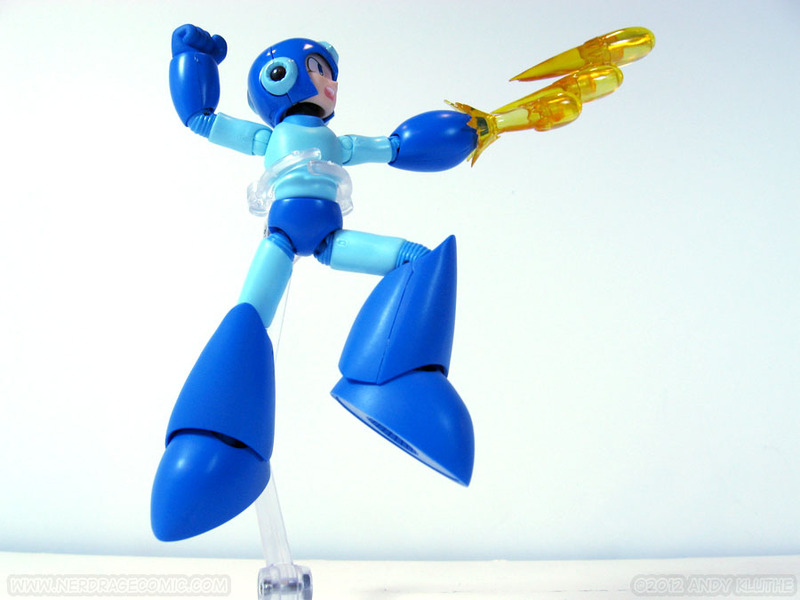 Mega Man’s articulation is slightly hindered by his chunky design. 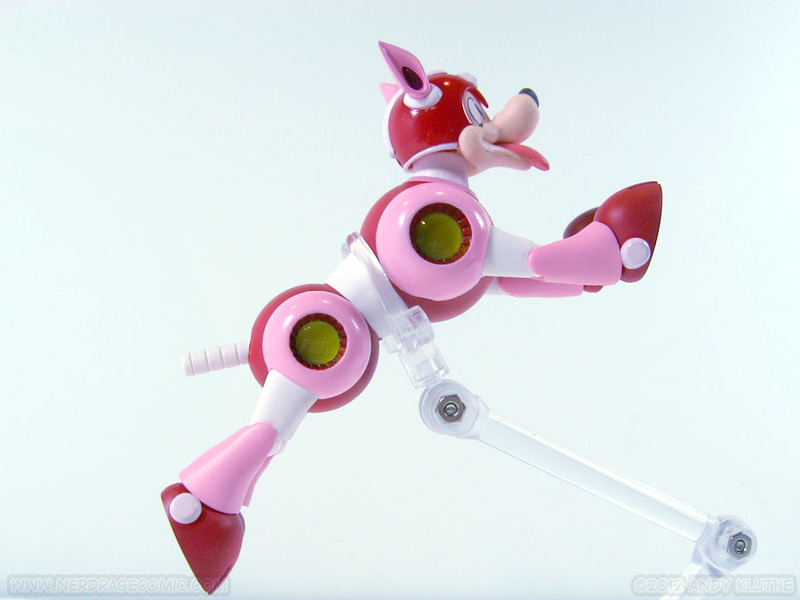 The legs, for example, won’t fold all the way at the knee thanks to a single hinge and his gigantic boots. His elbows are single jointed and get maybe 90 degrees. His feet have some sort of hidden double joint in them (either a double ball joint or a ball joint and hinge) but you won’t get much movement out of them. The range of movement on his feet is very, very low. 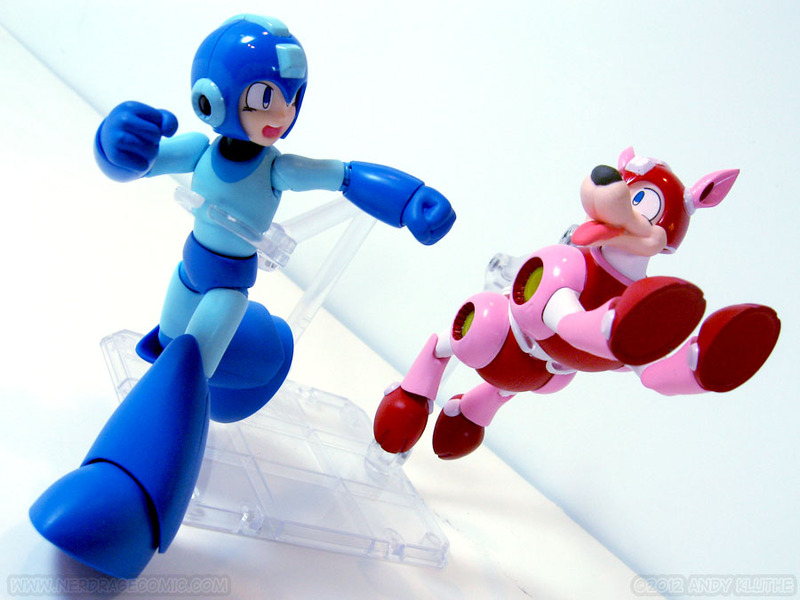 Despite being a super fighting robot, the blue bomber doesn’t sport any diecast. He’s 100% plastic. His legs and feet are actually hollow. He also does not have swivel at the knees. While this hollowness does give him a somewhat cheap feeling, I’d prefer to believe this was an intentional design choice to prevent the floppy leg syndrome. GaoGaiGar, in the exact opposite fashion, has giant diecast feet. They’re so heavy that any pose that doesn’t plant them firmly on the ground slowly droops to gravity). The thigh articulation seems to be a scaled down version of Bandai’s Figuarts thighs (a hinge for drop down, attached to a ball and socket). 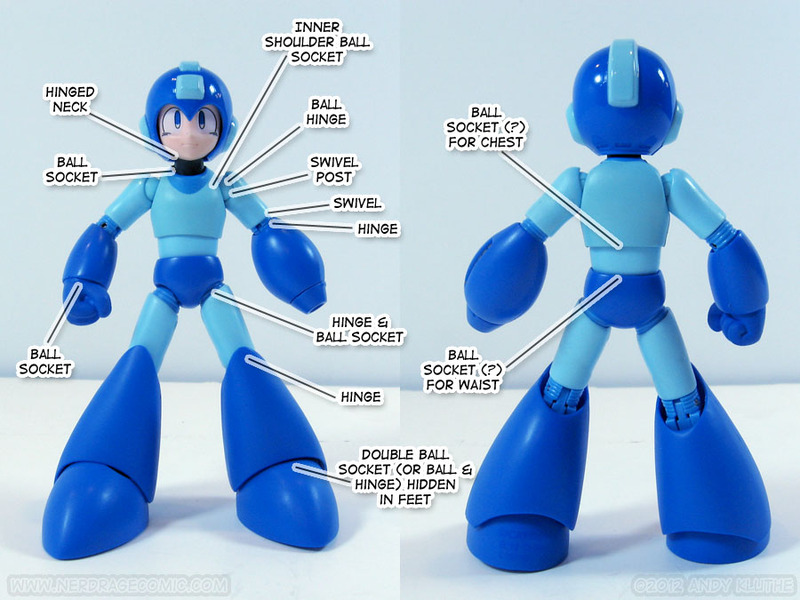 The shoulders have some type of inset ball joint, attached to a hinged-ball with a swivel post. Rush is actually articulated and not just a hunk of plastic (thanks for the extra effort, Bandai!) 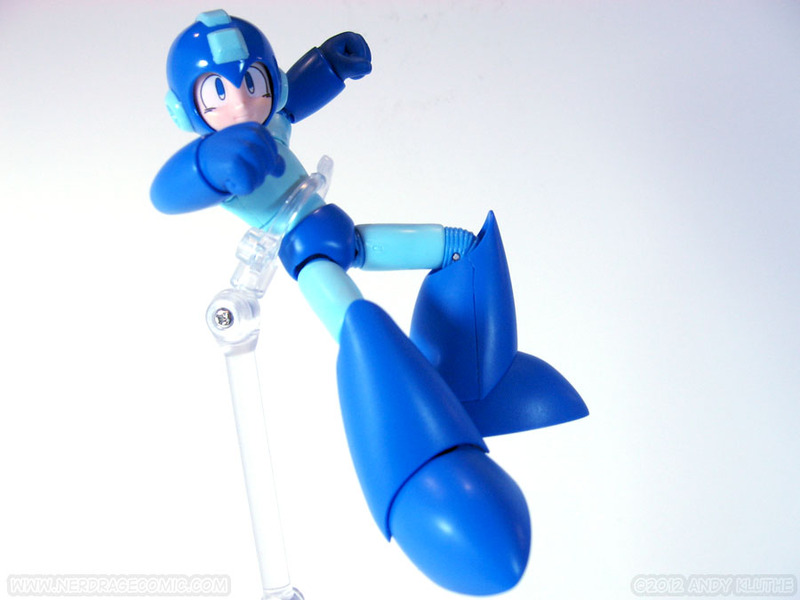 This articulation is only really good for running poses. Anything else will end up looking very derpy. While the tail is set on a balljoint, the ‘shoulders’ are only swivels. The head is articulated at the top and base of the neck, but you still won’t get much lower-neck movement. Met has a removable hat. If you seriously expected more than that, you’re probably crazy. Since the hat comes off you can recreate some frustrating ledge shooting action. 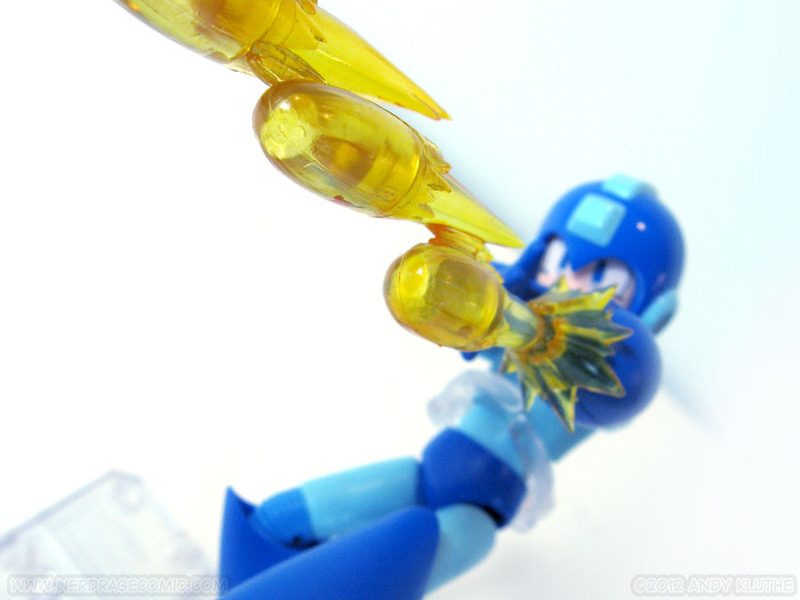 Mega Man is light on paint apps, and is mostly colored plastic. With such a smooth, anime-design there’s not really a lot of places to panel-line or apply a wash. 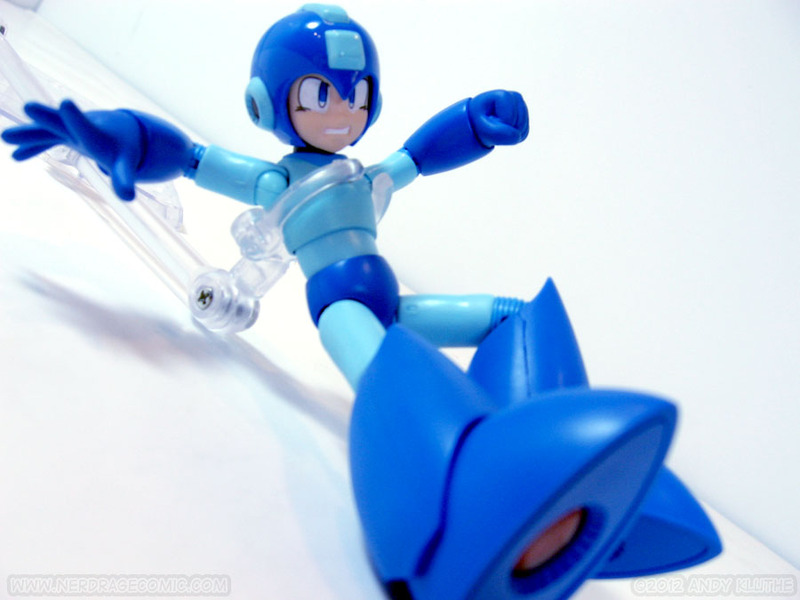 The ‘jewels’ in Mega Man’s circular ear pads, feet, and tip of his buster (as well as on Rush’s shoulders) are a nice transparent 'lense' piece over a silver-y backing. Disappointingly, my Rush came with a speck of blue paint on his muzzle. It’s a minor thing, but I have high expectations from a toy that costs this much. • It's not a model kit. 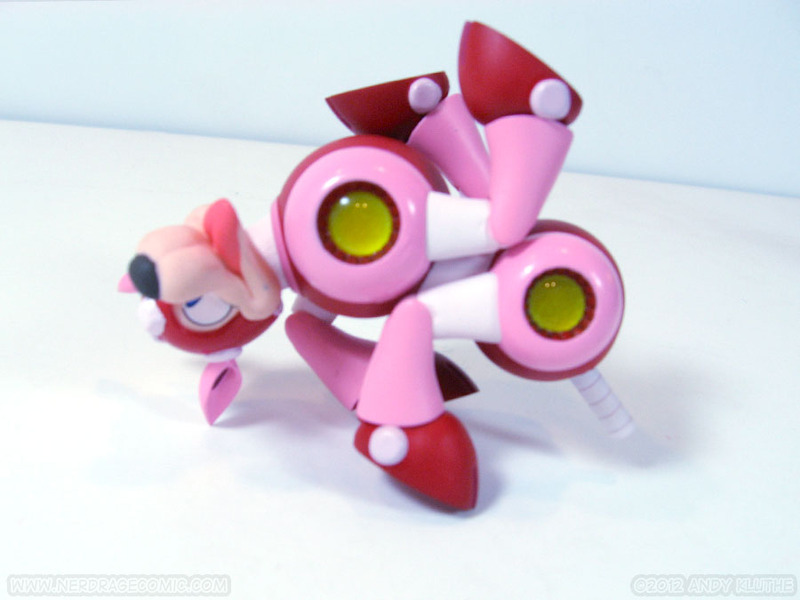 • The most poseable Mega Man figure to date. • Rush and the Metall are included. • Rush isn’t a statue. 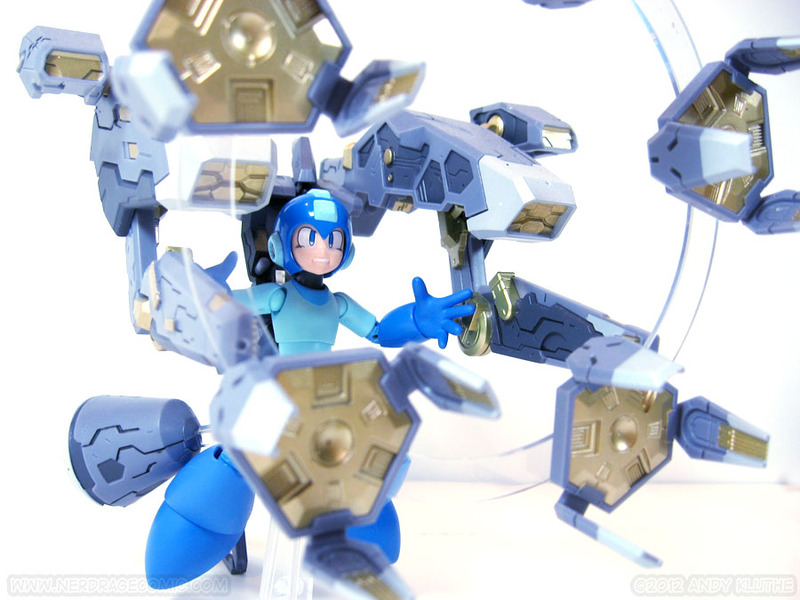 • In scale with X figures. 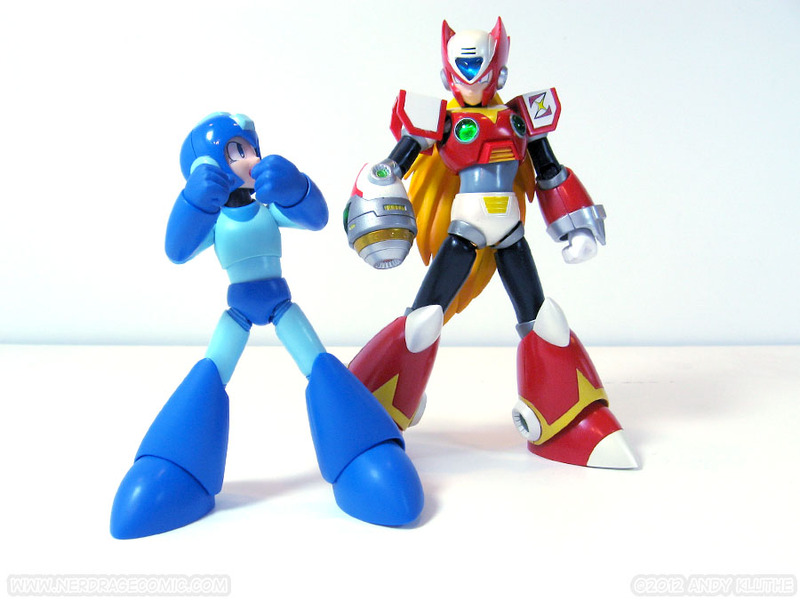 • Mega Man is on the small side. • Range of motion in certain joints (such as ankles) is poor. • Rush could still have better articulation. 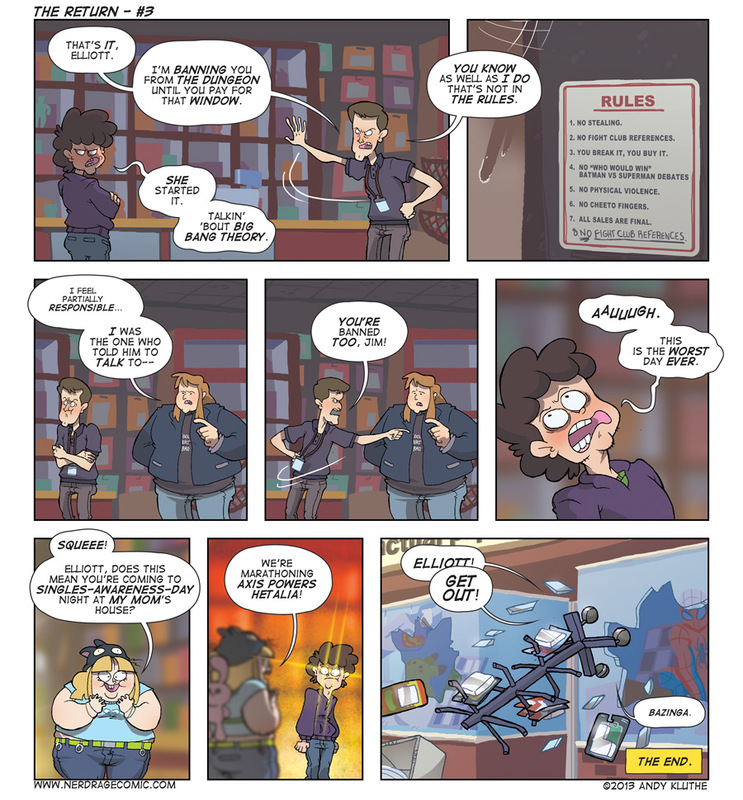 • Technically isn't accurate to art of Mega Man 1, 2, 3, etc. The more I fiddle with these figures, the more I love them. 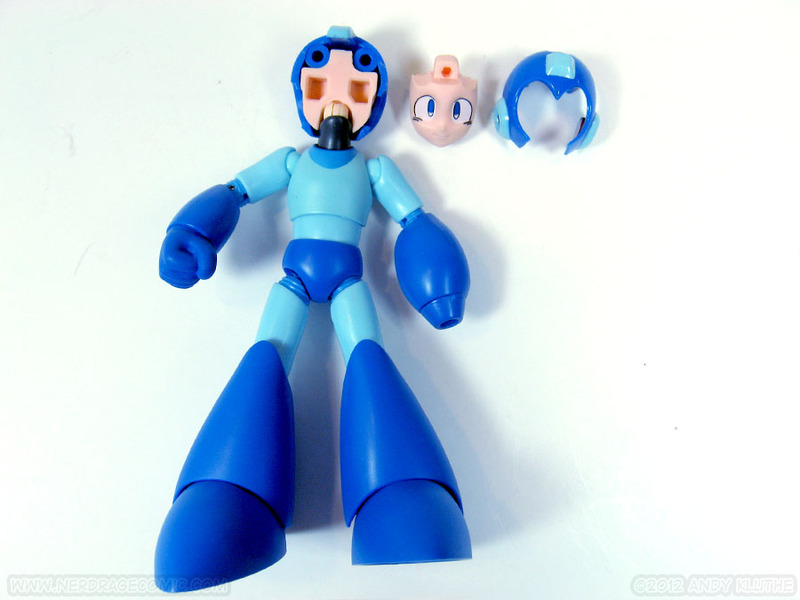 If you’re a Mega Man fan, I can’t recommend this set more (but that should be obvious, right?). If you’re not into the Mega Man 7/Mega Man 8 style, but are willing to put together a model kit, there’s always the Kotobukiya model kits. 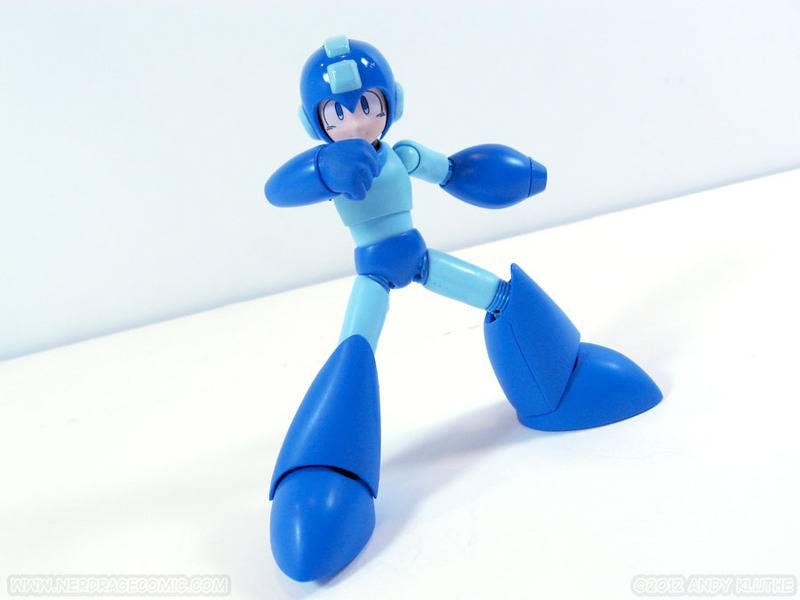 You can get your own Mega Man on Amazon for $44.99, provided by Bluefin.